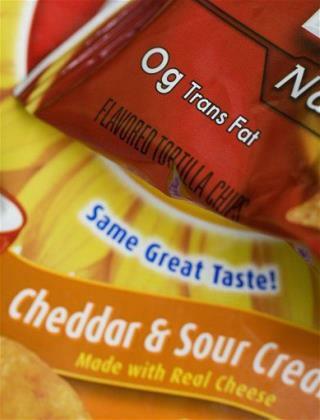 (Newser) – The US Food and Drug Administration is announcing today that it will require the food industry to gradually phase out trans fats, saying they are a threat to people's health. The agency is not yet setting a timeline for the phase-out, but it will collect comments for two months before officials determine how long it will take. Different foods may have different timelines, depending how easy it is to find a substitute. Commissioner Margaret Hamburg said the move could prevent 20,000 heart attacks and 7,000 deaths in the US each year. Next on Newser: Time for This High School to Change Its Mascot? By the time the gov't. takes away everything bad for you, we will all starve to death, or die from lack of medical care, but so what? Everybody dies sooner or later so quit crying about it, get in line, & hold still while we aim at you. We don't like wasting bullets with a 2nd shot! By the way, there goes McClown's! The Government needs to back out of the choices FREE THINKING Americans should make for ourselves.Why are cigarettes still legal? Because the gov't makes too much money off tobacco products. They want to tell us how to live, as long as it doesn't hurt the politicians bottom line! Wow! Prevent 7,000 heart attacks a year! That's super. But, just how did they figure that out....? Oh, yes, pull SWAG right out of their sizable rear-ends (hey, it's only sizeable because it also houses their brains)... now I remember - this is done at the AlGore center for science.